Social media addicts, self-promoters, and small businesses know the pain of managing various social networking accounts. There are various solutions for helping you schedule and stay on top of posting to your slew of accounts at perfect times throughout the day, but one reliable go-to for iOS users is Buffer. The service just got a big upgrade for iOS 8 that is finally (finally!) optimized for the iPad. 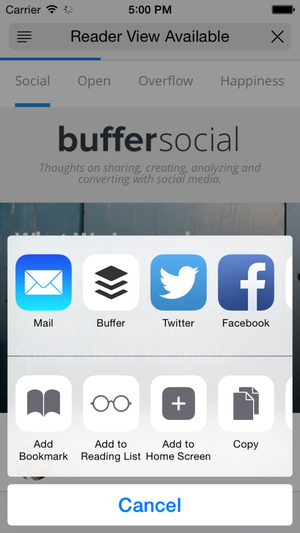 Buffer's iOS 8 update takes advantage of Apple's new share extensions. Buffer centralizes the work of posting to your Facebook, Twitter, LinkedIn, Google+, and App.net accounts, letting you schedule post to several accounts simultaneously or stagger your updates as you see fit. Its service works on the web, Android, and iOS, but it was sorely lacking an iPad version. 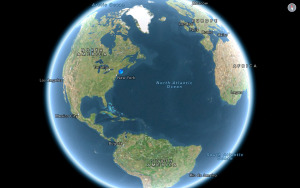 Buffer for iPad has long been in the works, Buffer developer Andrew Yates said in a Thursday blog post. The company built and scrapped several versions over the years, but didn’t want to just make a larger version of the iPhone app. With Thursday’s update, iPad users won’t be using a dramatically different version of Buffer, but an app that’s optimized for the larger screen. Same goes for iPhone 6 and 6 Plus Buffer users. Buffer version 4.0 also takes advantage of iOS 8’s share extensions. This means you can easily share a link from Safari or queue up a retweet from a Twitter app without bouncing back and forth between apps. Buffer has long offered workarounds for sharing, like bookmarklets for Web browsers and SDKs for apps that wanted to offer Buffer integration. But those were cumbersome and Buffer struggled to keep every integrated service on track with new features. iOS 8 has streamlined that process for apps that include its share sheets. There are other, smaller changes, like the use of swipes instead of taps to share, delete, move, or “re-Buffer” items that need a second life. Overall, Buffer’s iOS 8 upgrade offers features that will further streamline your social media workflow—and maybe make it feel less like work.